Mr. Smith’s music has received extensive airplay on major network television as well as inclusion in multiple motion pictures. From professional ensembles such as the United States Navy Band, United States Air Force Band, Boston Pops and the Atlanta Symphony to school bands and orchestras throughout the world, his music speaks to audiences in any concert setting. 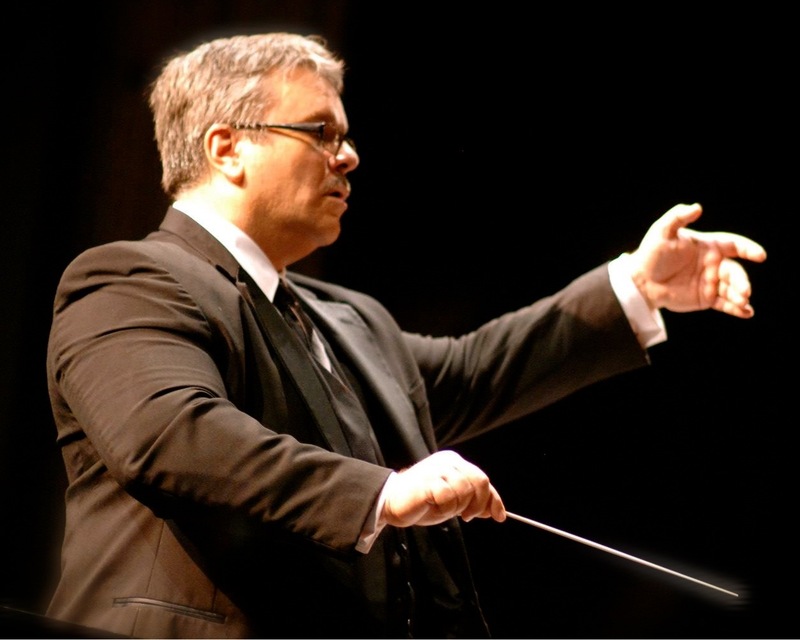 As a conductor, clinician and keynote speaker, Mr. Smith has performed throughout North America, Asia, South America, Europe and Australia. His music has been recorded by various ensembles and is available on CD and download through iTunes, Amazon, and other recorded music outlets. I had the good fortune of sitting next to Susan on a flight from Atlanta to Indianapolis Friday night. We struck up a conversation about music as that is an integral part of who I am even though I took a course for my career outside of it. 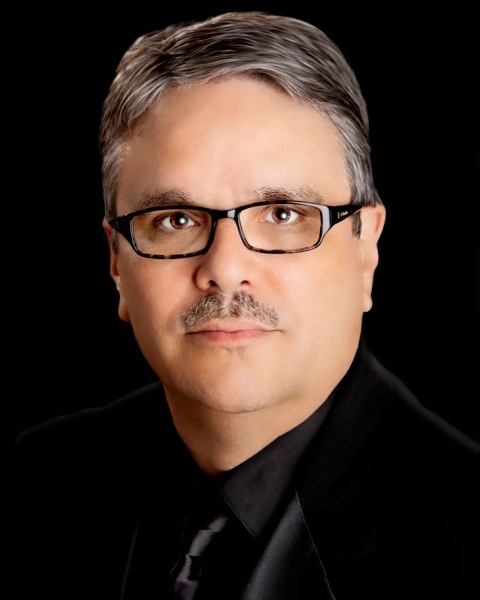 I have composed and arranged many pieces–for jazz band, orchestra, concert band and other ensembles. Susan mentioned to me the publishing company you are starting and I hope you don’t mind that I asked if I might contact you and share some of my music. Perhaps we might share thoughts and something mutually beneficial might result. I pasted a link to a video of Chicago’s Cardinal George reading the Christmas story accompanied by a score I composed for his annual Christmas concert at Holy Family Church featuring the City Lights Orchestra. Please let me know if you would be open to talking with me about music and hearing more of my work. In closing, congratulations on a successful career as a composer and bent able to stay so connected with music. Thank you for the note and link. My apologies for the long delay in response. I’ve listened to your work through the YouTube link provided. Very nicely done! Let’s stay in touch as the new business is unfolding. Thanks and best wishes! I am performing Mekong this week in a Veteran’s Day Concert. Could you please provide any additional instructions as to the clarinet/bamboo flute efffect at the beginning of the piece? We are having problems generating enough sound. I have been having the students hold their clarinets like flutes and blow into the tone holes. I have a small section of 6 soprano clarinets. Any suggestions are appreciated. Thank you for the recent note. Please pardon the delay in response. I’ve been on the road for most of the last four weeks and have a backlog of communication! I know your concert is now over. However, you were correct in having the clarinets blow into the tone holes. In addition, each player should use short bursts of air. Although a single clarinetist will not be able to create the “bamboo” effect, the section with random bursts of air will create a very unique sound. With six clarinets in your section, this will not be as effective in an acoustic setting. You may wish to amplify the effect should you perform the piece again with the same instrumentation. Again, my apologies for the delay in response. Best wishes and sincere thanks to you and all in the band! Happy Holidays! The students did really well on the piece. Some of the audience members were very moved by their performance. I even had a custodian who had recently received one of the honor flights to Washington talk about his Vietnam War experiences before we performed the piece. We have a catwalk above the seating area in our auditorium where we did the percussion effects from. This worked really well and especially enhanced the helicopter effects. This is a really great piece. Thanks for composing it and for our honoring our Vietnam Veterans. Not sure if you remember but I was a member of the Sunbird honor band at WIBC this year! You and I talked a bit about bluegrass music and Foggy Moutain Breakdown. I really enjoyed our conversation and working with you was an amazing experience! I didn’t realize my band (Oregon 4a State Champions) is playing one of your pieces “Encanto.” Anyways, I’m sure you’re really busy. But I just wanted to say thank you for the wonderful experience at WIBC. Thank you for the note and the GREAT time in Seattle with the WIBC Honor Band! I do remember our conversation and discussion of bluegrass music! Please pass on my thanks and best wishes to all in your band. I appreciate the performance of “Encanto” and wish you the best in your performance! Happy Holidays to all! I love playing your music! I had the Honor of being able to meet you last year at F.A.M.E.. I have decided to write my research paper about you and Your music. Thanks for Every thing you do to make the music world a better place! Austin…thank you for the note and kind words! I’m currently at the AMEA in Montgomery and thinking of you and the F.A.M.E. class of 2014. Best wishes to you and all in your band! A blast from the past: We are looking for a recording of your arrangement of Proud Mary for marching band to give to our cheer coach so they are choreograph a routine to the tune. Do you know where I can find a recording of the chart for marching band? Thank you for your continued dedication to wind repertoire! It is an honor to perform and conduct your music! My band is playing Into The Storm, and in measure 71 the flute solo has an E natural accidental on the second to top space then has an E on the bottom line of the staff. My question is, is that lower E a natural or flat? Same with the bass clarinet on the F#. We are doing Tanoan Echoes with our beginners. In Measure 38, the flutes have a G on count 3, against the oboe’s F. They play all other notes in that line in unison. Looking at the rest of the score, I would assume the G in the flute part is correct and the oboe part should be changed. Would this be accurate? Thanks in advance! You are correct. Thanks and best wishes to all in the band! I just wanted to leave you a note because your work has truly inspired me. I’ve only playing in concert band for a couple years, but your work is something that constantly shows up in our band and I love everything that you have composed! The Great Locomotive Chase was one of the first songs that I played, and it helped my first time in band to be so amazing. Your songs are always enjoyed by everyone. Thank you for everything you do! Thank you very much for the note and kind words. Please pass on my regards and sincere thanks to all in your band! Best wishes! My concert band is playing your song “Inchon” and i would like to know the history behind why you composed this music if its not too much trouble. Thank you for the note and the interest in the piece. I wrote this in honor of my father who served in the U.S. Army and was a young soldier in the Korean conflict. When he passed away, I had a Veteran’s Day concert to conduct and couldn’t find an appropriate work to honor him and those that served in Korea. As a result, I composed “Inchon.” There are detailed notes in the conductor’s score with additional information. I hope this helps. Thanks again and best wishes! Hello! I am a tuba player and I recently played your piece Teutonic Tales on my last recital. Love the piece! I potentially have the chance to play it with a wind ensemble, but looking around, I see part for only the first two movements. Am I missing where I can find the third? If you can point me in the right direction, that would be wonderful! Thanks so much. Thank you for your note and kind words regarding Teutonic Tales. The full performance set of band parts is available through C.L. Barnhouse Company. Please contact them at http://www.barnhouse.com. Thanks for the note and kind words! I’m honored. I wish you and all in your band a wonderful new year. Take care! P. S. Please pass on my thanks to your band director! I am interested in having the “Symphonic Dances for the Contemporary Child” that you wrote for Suncoast Sound arranged for my marching band next year. It does not appear to be published through Barnhouse, so I wanted to reach out to you about possibly gaining copyright permission to do this. David….Thanks for the note. Please contact Jeni Paulson at CopyCat Music Licensing regarding the appropriate license for arranging the music. Please tell her I sent you her way. Thanks and best wishes! Thank you for that. I have worked with her before, and will contract her right away. Your note was misfiled in my website system and I have just read your note from earlier this year. I suspect you have moved on. However, please know how much I appreciate you thinking of me. Thanks and best wishes to all! I shall be playing the Piccolo part in your composition: Ireland: Of Legend and Lore with Societa Philarmonica Nazionale La Valette, one of the most prominent concert bands in Malta (Europe) next week. Our Band Director has asked me to help him in finding an appropriate descriptive Programme Note for very interesting piece of music. Will you kindly send me a write-up for your piece? Hi everyone! My name is Emily and I just finished reading the “Divine Comedy- Inferno in my advanced literature class. I am absolutely in love with Mr. Smith’s music and I was wondering if someone could guide me through the song and what parts of the story are portrayed. I would appreciate it very much. I fell in love with Mr. Smith when he came down to University of Arizona in January and conducted the high school honor band I was in! It was magnificent!